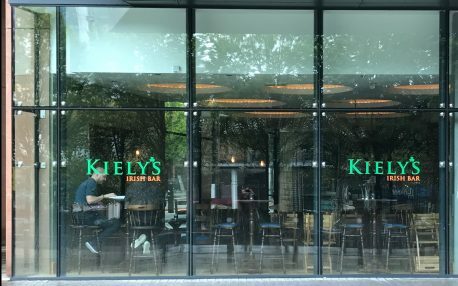 Now open: Kielys Irish Bar at 1 Watson Street Manchester. A modern take on your traditional Irish bar, Kielys, has just opened on Watson Street beneath Epernay champagne bar. The bar is currently open and being run by Andrew Kiely who has experience working in number of bars back in Waterford, Ireland, so you can expect some of the best Guinness in town and a food menu from the end of October. Watch this space for a review.